Chelsea and Southampton kicked off their 2019 league campaign with a 0-0 draw at Stamford Bridge, with very few clear-cut chances for either side. Eden Hazard had the best opportunity of the game during the first half, but couldn't beat Premier League debutant Angus Gunn in the Saints goal. The Blues thought they were ahead in the second half only for Alvaro Morata's strike to be ruled out for offside as the points were shared at the Bridge. ​Chelsea began the match on the front foot and dominated possession, but were unable to create any clear cut opportunities in the first 15 minutes until out-of-form striker ​Morata was presented with a good chance following a cross from ​Cesar Azpilicueta - but the forward could only direct his header straight into the arms of Gunn in the Saints goal. The Blues should have taken the lead after 35 minutes when ​Hazard delightfully controlled a ball over the top from ​Antonio Rudiger and found himself one-on-one with Gunn, only to fire straight at the 'keeper. The Belgian's chance was the last action of a poor first half as the sides went into the break level. It took until the 70th minute for another chance of note as Chelsea thought they had taken the lead through Morata after he finished well past Gunn, only for the goal to be ruled out for a marginal offside. Minutes later the Spaniard had another chance when he beat the offside flag, but Gunn was there once again to block with his legs. Chelsea pushed for a late winner with ​Marcos Alonso having a decent strike from distance, but this one always look destined to end 0-0 as the points were eventually shared at Stamford Bridge. ​Check out 90min's roundup of the game below. On the day Chelsea signed ​Dortmund wonderkid Christian Pulisic for a reported £58m, it was the perfect opportunity for the Blues attacking players to remind Maurizio Sarri of their quality. However, what was on display during the first half was nothing short of woeful. Morata and ​Willian were very poor and bar Hazard, Chelsea looked devoid of any creative spark. The second half offered little improvement in a very disappointing performance from Sarri's side which if anything, reiterated the need for Pulisic to freshen up the front-line. Starting XI: Arrizabalaga (7); Azpilicueta (6), Rudiger (6), Luiz (7), Alonso (5); Kante (6), Jorginho (6), Barkley (5); Hazard (7*), Morata (5), Willian (5). STAR MAN - Eden Hazard impressed for the Blues yet again and although he didn't do anything in particular that was extraordinary, his general play helped him look head and shoulders above anyone else on the pitch - showing flashes of brilliance with some mazy dribbles and nice touches. It really is Eden Hazard FC. WORST PLAYER - Willian only lasted 37 minutes before picking up an injury, but what he produced in the time he was on the pitch was less than impressive. The Brazilian had a night to forget as he looked lethargic in possession and gave the ball away a number of times. Southampton set up using five at the back for the first time under new coach Ralph Hasenhuttl as they looked to earn a point at Stamford Bridge and their performance certainly deserved one. The Austrian has installed defensive resilience and structure to the Saints side as they nullified Chelsea's attack for much of the match in a fantastic display. Yan Valery was excellent for Southampton at right-back, as too were Maya Yoshida and Angus Gunn - who made a number of impressive stops on his Premier League debut. Starting XI: Gunn (7); Soares (6), Yoshida (7), Verstergaard (6), Bednarek (6), Valery (8*); Romeu (6), Ward-Prowse (6), Armstrong (6); Redmond (6), Ings (5). Substitutes: Long (6), Austin (N/A), Stephens (N/A). STAR MAN - Young right-back Yan Valery caught the eye with a very assured performance in defence. He coped admirably with the task of nullifying Hazard and made a vital goal-saving block during the first half. At just 19 years old, the Frenchman showed maturity well beyond his years tonight. 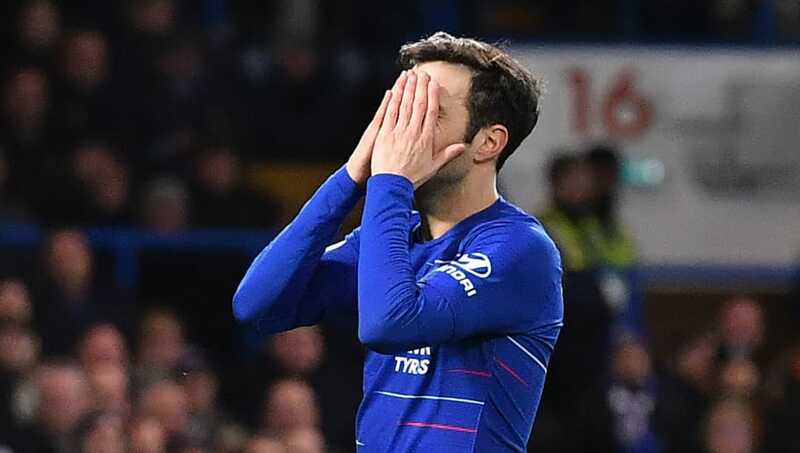 WORST PLAYER - ​Danny Ings offered little during the 45 minutes he played although in fairness he was provided with no service at all as Chelsea dominated possession, but the Englishman still won't look back at his performance too fondly. Both sides will next be in action on Saturday as they begin their FA Cup campaign. The Blues host ​Nottingham Forest whilst the Saints travel to play Frank Lampard's ​Derby.